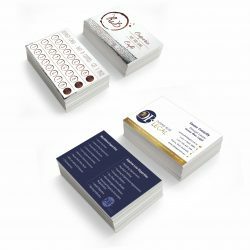 From a simple business stationery order to a high end corporate presentation package, our printers have got you covered in Mount Isa. Stay ahead of the game with Mount Isa’s best business signs and printing. To stay ahead of the pack in business you need the image you project to be as important and impressive as the product you provide. From the business cards on your front counter to the signage outside your premises, you can count on Expressway Signs for unbeatable signwriting and printing results. The importance of printing and signage for your business should not be underestimated, so to be sure the job is done right come to the signwriters with 49 years’ experience. 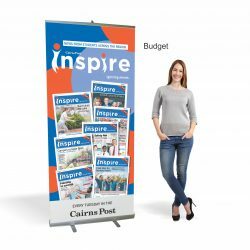 All kinds of businesses across Mt Isa have put their marketing campaign and business goals in our capable hands. 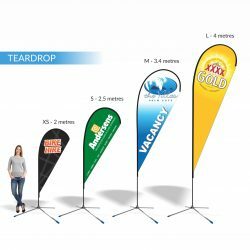 No job is too big or too small, so for roll-up banners, giant signs, business cards and more Expressway Signs is the only choice. We understand that all requirements are unique and therefore tailor our services to highlight the strengths and characteristics of your business. Whether it’s a lightbox sign or teardrop banner, Expressway Signs prides itself on delivering signage and printed products that help you stay ahead of your competitors. Incorporate your own designs and ideas and let the professional signwriters and printers take care of the rest. Contact the specialists today. Give us a call on 07 4035 4113 or contact us via email here and we’ll get back to you right away!